We are a family of artists driven by discovering and performing musical tales and creating authentic content. We believe that music can be the medium which brings us together, revealing, in the same time, the multiple layers of “our selves”. We are proud to raise and host in our family a variety of Romanian and International artists – from vinyl-only to digital to live acts, unrestricted by the any genre, but only by the values that we share. UFe manifests himself as an explosion of diverse musical genres that create a unique style resisting categorization. Many elements have helped shape his style into an admirably eclectic music. The vision of Alt Om about great parties and good music assume that the DJ should feel the public, connect with it and definitely should play with a lot of styles and genres. That’s why his music is extremely diverse – from electronic to funk and disco or break beat, house and techno. Bully is one of the well know romanian dj that created a bridge between the underground and the mainstream scene. Since the begining of the year 2000 he started easily to conquer the clubs dancefloor of the romanian major citys with his unique style. He loves to create a musical journey mixing different styles from the smooth funk breaks & oldschool hiphop to the jumpy sound of the breakbeat and drumandbass music – all this combined with scratching and turntable skills. Dubase is a multikulti activist & member of Guerilla Outernational (together with DJ Leizaboy), spining reggae, dancehall, latin, tropical bass,african styles & more. Bucharest based record collector, DJ/selector and editor, IORGA usually delivers a mighty and eclectic mix of worldwide sounds in his showcases. It’s known that romanians know how to party, but it’s hardly known that Romanians really know how to disco’n’funk party. Always adept at reading the crowd thanks to combined decades plus experience behind the decks. Tropical, disco, afro & funk grooves, also obscure romanian disco edits delivered straight from Obor market. 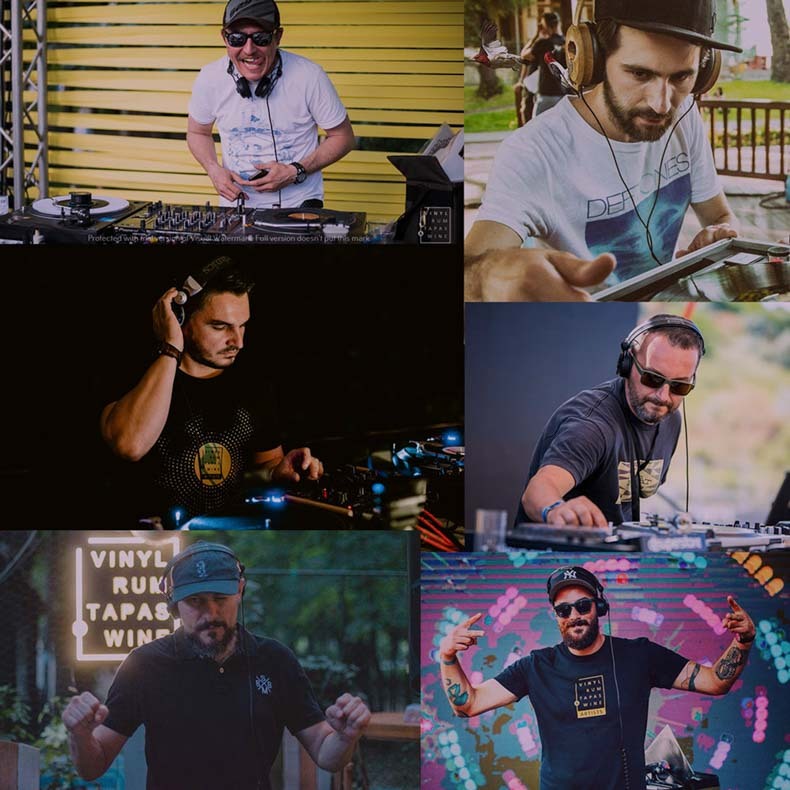 Based in Cluj-Napoca, Romania, member of VRTW ( Vinyl, rum tapas and wine) artists community – Puiu is one of the vinyl-record addicts and collectors who chooses to buzz the crowd’s ears with the finest tunes. Complex musical background and with a heavy interest in style diversity, Andrei Puiu (by his full name) had a tuned-up evolution music wise, growing up as a soul-funk, electro-psychedelia and rock guitarist in several bands. His experience and constant affinity towards new and spicy musical grounds, brought Puiu to the present point where a genre-pattern for his Dj set-up is considered nothing but boring.